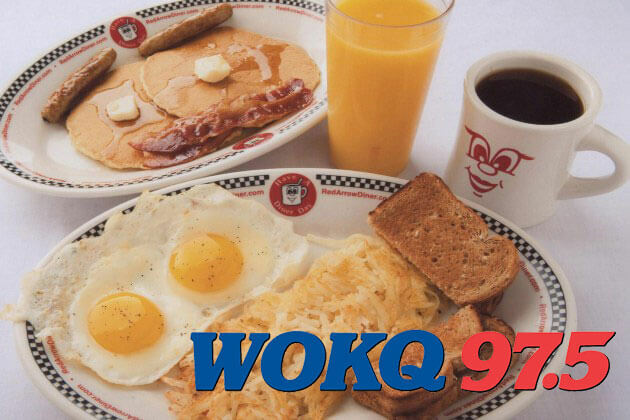 Local radio station WOKQ 97.5 picks the best menu items for a tasty meal on a budget in the granite state. Red Arrow made the list with our “Queen Dinnah” Breakfast. We list this item under breakfasts that are SO BIG, they take two plates! In case you didn’t know the Queen Dinnah comes with 2 eggs, 2 pancakes, 2 sausage, 2 bacon, panfries and toast. Now that’s a lot of food for under $10.00! ← Previous Previous post: Best of NH 2016: Best Diner and Best Breakfast!